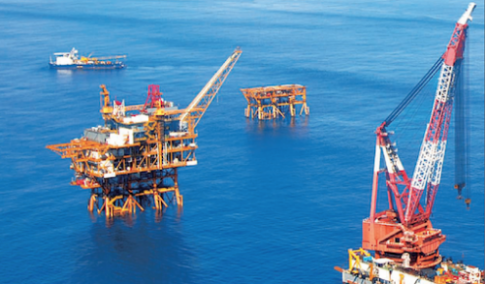 Noble Energy has sold a 3% working interest in the Tamar field, offshore Israel, to the Harel Group pension fund and Israel Infrastructure Fund (IIF), Israel’s largest private equity fund for infrastructure. The transaction value is $369m, based on the field’s pre-tax valuation of $12bn, or an estimated $275m after tax, the NYSE-listed oil and gas producer said. Before the deal closes, the joint buyers have the option to purchase an additional 1% working interest from Noble Energy at the same valuation. Prior to the transaction, Noble Energy operated the Tamar field with a 36% working interest, of which it plans to sell 11% in total to comply with Israel’s approved natural gas regulatory framework. The other 7% to 8% working interest will be sold over the next 36 months, the company said, leaving it with a 25% stake and operatorship. “This transaction reflects the inherent value of our producing Tamar asset, which reliably fuels more than half of Israel’s electricity generation today. It also highlights the potential of our other undeveloped Levant Basin discoveries, which share similar reservoir and well deliverability characteristics and are poised to bring needed energy to a region which is fundamentally short natural gas,” Gary W. Willingham, Noble Energy’s executive vice-president of operations, said in a release. Noble Energy and its partners are planning to drill and complete an additional development well at the Tamar field during the fourth quarter this year. The field has recoverable gross mean natural gas resources of 10tr cubic feet (Tcf).